Malformed Monster. . . or Misunderstood Man? All Paris taunts and torments Quasimodo, the hunchback who lives among the carved stone gargoyles of the great cathedral spires. 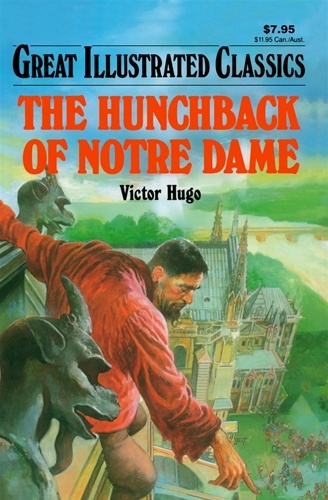 Nobody thinks he has human feelings and emotions, but Quasimodo will show enormous love and loyalty as this dramatic and unusual story unfolds. In this vivid tapestry are woven the stories of beautiful Esmeralda and the men who love her, including the tragic Quasimodo, who risks everything, even his own life, for the young dancer. Danger, betrayal, and surprise touch every page of this incomparable world classic.